MHN talks with Orlando Carera, counsel, and Greg Young, a new partner, both in the Real Estate Practice Group of Squire Sanders, about development and investment trends, and their thoughts on how the sequester will affect the multifamily industry. West Palm Beach, Fla.—What are some new issues affecting affordable and market-rate development? 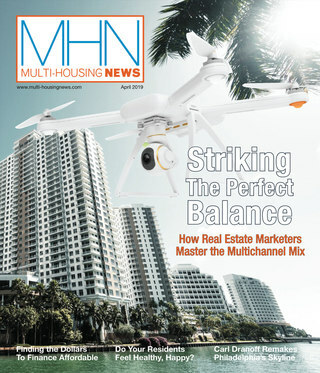 MHN talks with Orlando Cabrera, counsel, and Greg Young, a new partner, both in the Real Estate Practice Group of Squire Sanders, about development and investment trends, and their thoughts on how the sequester will affect the multifamily industry. MHN: Greg, congratulations on your new role as partner. What are your priorities in this position? Young: My priorities are getting integrated into the Squire Sanders platform and the real estate practice group as quickly as possible because I think it gives great value to client relationships that I service. That is task one, and it’s client-related and client-oriented, but it’s also a direction for the firm and the business of the firm. MHN: In terms of development, what issues are you currently seeing? Cabrera: Let me talk about the affordable side. There are a lot of parallels between what we do on the affordable side and what we do on the market-rate side. On the affordable side, what we’re seeing is an increase of activity on the development side on the coast, and a similar increase in tax credit prices for a lot of reasons, not the least of which is that the financial institutions that primarily invest into tax credits are competing more. Many of them have CRA requirements, though some are coming to the end of their CRA cycle and others are climbing on it. And you’re watching credits reach levels not seen since ’07 or ’08, so that’s very good for developers. It is also very worrisome in the long term, because there is a constant conversation about how the economics work in the long run for everybody when it comes to that kind of investment. Young: I think that it’s a tale of market segments. As Orlando described, the coasts—because job opportunity is somewhat better—are really better positioned not only to drive value for existing projects, but development of new projects. Frankly, when you add a construction aspect to a project, rather than just a transfer or financing, it brings a host of other considerations that need to be considered from an owner’s perspective. And as you see more of those projects getting off the ground, it has an impact on lots of operational issues. As Orlando said, that’s a dynamic that we haven’t seen a lot of over the last five or six years. We’ve seen some conversions going both ways in the last 10 years, from for sale to for rent, and as a result of that we’ve seen more inventory coming in in some ways, but in a lot of ways new construction is going to add a whole new dimension to the products. For these owners, job growth and good, solid job numbers continue to be a very important component. But from what I see in the sector, based on clients’ desires to acquire properties based on valuations and financings, it continues to be a pretty strong sector of the real estate market. And from what I’ve been reading and hearing and seeing, it’s forecast to continue to be a fairly strong segment of the real estate market. MHN: You both mentioned that developers on the coasts are doing well, but what about the rest of the country? Or is it just a matter of going where the jobs are? Cabrera: I’m not a big fan of divvying up multifamily investment into coast and non-coast for two reasons. Number one, we miss a huge story, and number two, the middle is important, specifically because I’ve spent a lot of my life in that middle! I think that first of all, there is a middle even to this conversation, between market-rate and work on affordable, because while affordable is really defined by the low income housing tax credit and private activity, the middle would be defined by the acquisition of private-based Section 8 deals, which are essentially market-rate deals with a half overlay. In those days, what you’re watching are high-value deals with a very intensely competitive marketplace where cap rates have fallen close to between 5.5 and 6 percent, and in some cases, for some very desired areas, I’ve seen 4.5 and even lower cap rates. For Greg and me, this makes little sense, unless it’s people willing to park money for very low returns for a very long time. In the middle though, it’s different. In the middle you’re watching exactly the same kind of intensity of competition, but the cap rates are higher. So you’re see in the middle—with the exception of Chicago and Texas—you will see cap rates floating up into the 9.5 percent range. 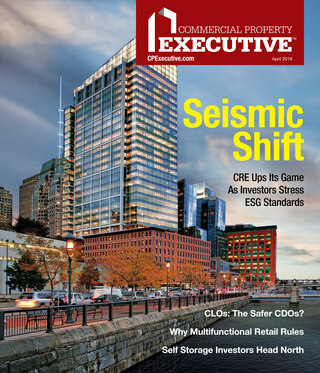 This means there’s risk, it means pricing is a little different and, speaking from the affordable side, means that people are still willing to invest in transactions where you have a significant Section 8 component, not withstanding the sequester. So it’s not as if it hasn’t been impacted at all, and I’m sure it will be, but I think people recognize it for what it is—a very good asset that is well supported and has value. Young: My sense is that we’ll agree on the fact that a well-managed project is attractive to different slices of the marketplace and different investors. For clients that are looking at utility-grade investment returns with the low cap rates, just because they want to be in that business and they see it being a stable place to be because of a market consideration, this is an area where different areas present differently but equally attractive based on the investor type. Orlando, since you mentioned the sequester, I’d like to think through the sequester. Washington, D.C., from a housing perspective and multifamily has been quite hot, with development coming online. My sense is it’s way too early to get a feel for the impact on market-rate multifamily as a result of the sequester. I just think that it’s way too early to tell what the impact is going to be and what Congress might do to moderate in future budget years. Cabrera: Remember that the sequester cut everything evenly and there was no real mechanism for any given secretary to reallocate within the budget that they are given. It was a brutal cut, if you would. If you look at Section 8, it would be the first time that Section 8 as a whole program will have been cut. That’s never happened. They’ve cut growth but they never cut the program. I think that has a couple of impacts, one immediate and one more subtle. The immediate impact is going to be that going forward, you’re not going to see anything between now and September, because there has already been expressed commitment by HUD on project-based contracts saying we’re going to keep you where you are between now and September and we’ll make adjustments later. Later [will result in] operational realities that we used to hate as an industry—delayed payments between September and January—that really complicate life for owners. It is a direct impact on their accounts receivable and a direct cost of money, because for that 90 day period between September and December, they’re going out of pocket until they get a check in January. This is a problem, and it is not a fun thing to do as an owner to shell out money on an asset and wait until January to get a check, if it comes in, and then add to that the fact that the check might not be as large as it used to be. The more subtle impact has to do with deals coming in to the pipeline. I think that means you’re watching an industry that is worried that for the first time they’re saying there is less than an affirmative support for these programs. So how will these deals underwrite going forward? I think that’s a much more subtle question. On the one side, underwriters as a general rule basically disregard Section 8 anyway. But on the other side, they always depend on it. And I think this is going to put more pressure on pricing, and I think it’s going to be a big topic of conversation in the many conferences that we all attend. I think going forward, we’re going to have some deeply uncomfortable conversations about the meaning of all this.